I have this book that is from the turn of last century and it has horrible advice about sexuality in it. Like women are hysterical due to their uterus. 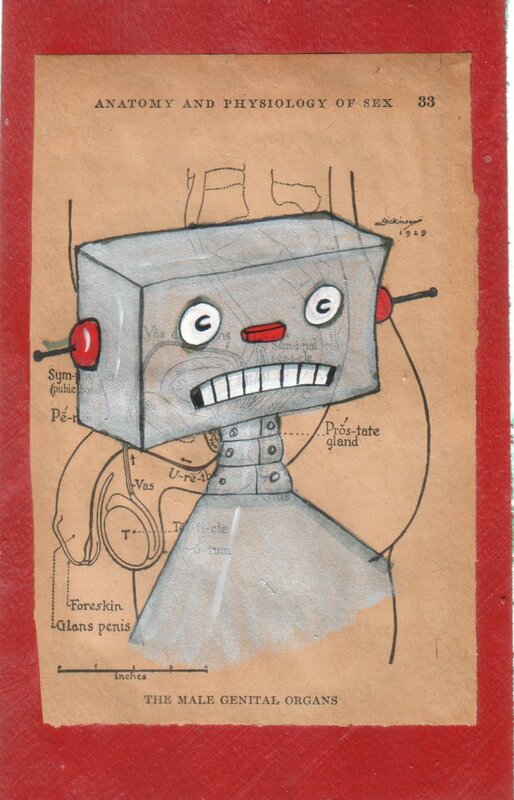 and there is a diagram of the male anatomy that fell out of the book and i dunno – it just screamed “Robot” to me. So here you have it, a robot with a diagram of the male anatomy. This is the amazing Maggot Girl. And she is amazing – she puts on her own make up but no one knows HOW. And won’t even get into how she ties her bikini top on or even why she wears one. Yes the Maggot Girl IS truly amazing.